Well – didn’t the Aussies take the mighty pork sword of justice to those Indian blighters in Adelaide yesterday, wot? Yes they did, and most immutably. It was great vengeance and furious anger stuff. Except it wasn’t, really, because everyone’s being largely nice to each other, outside the odd quip and how’s your father, and other lippy stuff Michael Clarke reckons is in our blood and if we don’t do we’ll lose. Because Michael Clarke’s hocking fish oil and Tim Paine’s captain of what appears a Good Blokes XI, and they’ve just pummelled the No.1 Test team in the world on a compelling day of Test cricket in Adelaide. So how about that? That’s good, isn’t it. And we didn’t have to be nasty or anything. Know what it shows? It shows, once again, that cricketers of all stripes travel worse than milk in the back of a Ute. India were poop. Australia were excellent. And India were poop. Outside the stalwart Cheteshwar Pujara (123, run out last play of the day) the Indians thought they were in India. And they were not in India they were in Adelaide. While Virat Kohli declared his love for Adelaide, he hadn’t seen an Adelaide like this Adelaide. Well, perhaps he’d seen one. But this Adelaide, while pure, offered a bit for the bowlers. Bounce. Good, solid bounce. Throw in a bit of swing with the new ball and a game plan perfectly implemented, and you had a winning day for the locals. Adelaide offered bounce for those who’d pitch it up. And the Aussies verily did. Remember our Gilly (one of the better callers, for mine, another story) used to bang on about “good areas”? You’d hear him in the stump mic. All the Aussie bowlers yesterday found very good areas. Mainly full ones, enticing ones. And the Indians went hard after the sweet fruit and were sucked in like fat kids to a poop-filled prank Piñata. Just like that. That was effectively it: the Aussies bowled good areas. Couple shortish, couple over off peg, then a big hooping wide one, on a sub-continental half-volley length and whooskha, each of the top six batters’ eyes lit up like they’d seen the last Cornetto bottom of the fridge in the BP servo. 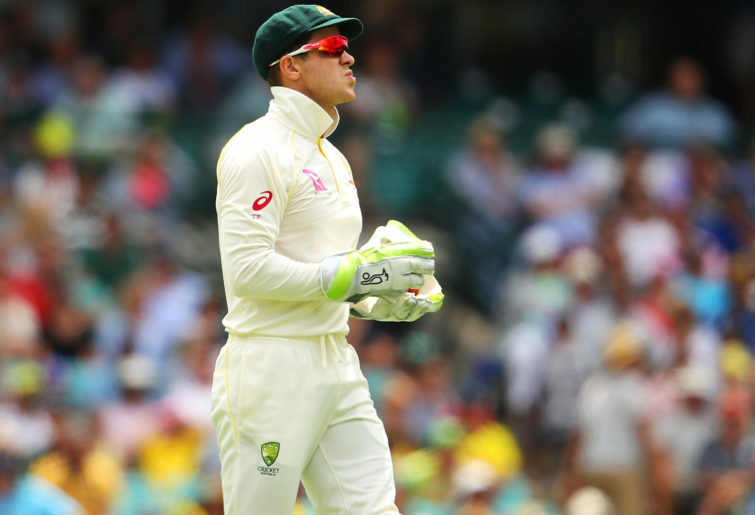 And so they flayed away and the crescent-shaped catching division pouched some very handy hot takes, particularly Usman Khawaja who would’ve won Classic Catches had they not rooted it years ago by making people ring 1800-EAT-KFC instead of the best-of-seven finalists system which was good. Anyway they couldn’t resist, the Indian top six, and all bar Pujara were sucked in like Trump voters. And it was a pretty bloody good effort by Australia on a pretty bloody good batting deck. The Adelaide wicket had bounce, sure. But it was pure. It wasn’t jagging about. Yet you still had to get yourself in, particularly against a high-quality attack. The Aussie quicks are world’s best practice. The Indians have three blokes they reckon just as good. We’ll see today what they’ve learned, and whether they can replicate it. In the meantime we’ll give Aussie bowling coach David Saker a rap. Justin Langer and Tim Paine, too. Their game plan, while perfectly implemented by the Bowling Cartel, was spot on. Full, full, full. Seam upright. Do a bit in the air. Make the batter come to you. Good batters will get the odd cover drive away, and look pretty doing it. Rohit Sharma launched a mighty drive for six over extra cover, middle of the bat, it was shot of the day And we all sat back and thought, well, fair old shot. But the Aussies kept at him, throwing it up. And you do that often enough you’ll get them more than they get you. They’ve only got to stuff up once. As Rohit did. 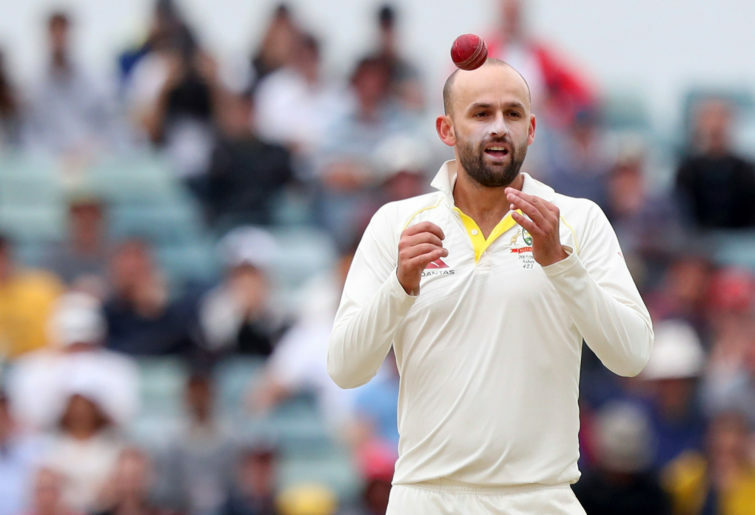 He kept going hard at the rock, eventually falling to Nathan Lyon’s floating piece of “pie”. It was a shot not befitting a Test man. Not in the context of the match, day one, four down for not many. Not given ball before he’d got away with being “caught” by Marcus Harris over the square leg rope. The madman, next ball went Lyon again, and the master spinner’s bounce, length and flight did for the flighty, super-talented No.6. And out the door he went. And India were 5/86. Dud wicket. Craig McDermott, the great pacemen took 281 Test wickets. And when he was bowling his best, he was fast and full, swinging outside off stump. Occasional bouncer. Lot of bluff and bluster. Billy could snort steam out his nostrils for Australia. But mainly he was just fast, full, seam up, swinging, off-stump. Do that often enough at 150 clicks and you’ll take Test wickets, King Kohli or not. The King? Guilty as anyone of going too hard at a wide one. It wasn’t the wicket or the bowling attack to be throwing your hands at, at least not early in a dig. It actually smacked of lack of respect or an out-sized belief in one’s ability. Kohli definitely has the latter. But if you talk to enough blokes he’s not fully up himself or what have you. So it was more just a stuff-up, really. And one that was replicated several times. The Indians clearly went in with the plan to attack, and dominate, and didn’t change much until they were 6 for 127. The rest effectively didn’t adjust to a Test match strip with a bit in it for high-quality quicks. In the warm-up match in Sydney they’d been throwing their hands at half-volleys with impunity. They’d done the same on short form drop-in strips. But this Adelaide wicket had a bit in it, especially early. And it demanded a certain amount of circumspection from the Indian bats. Instead it got wild-eyed whooshes. The worst kind of whooshes. But their tail wagged. Lot of time for Ashwin, good cricketer. And Pujura’s knock was brilliant, gutsy, a watchful bit of kit. A proper Test innings. He scored more than 50 per cent of his team’s runs. He deserved red ink. Ashwin also showed what application, when applied, can apply. I’m goin with it, stuff it. Anyway! The Indians were largely poop and the Aussies were largely extremely good. And 250 for good as all-but on that wicket on a typically stinkin hot day as Billy Birmingham would tell you was very much below par. Anyway. The summer’s here and it’s game on. And Australia is ascendant. And we’re backing them, good blokes they seem to be, against the world’s best Test team. And it’ll be really, really interesting to see how the Aussie batters go, at home, against three very good Indian quicks and the master finger spinner Ashwin. Keep on bringin’ it, summer of cricket. Keep on bringin’ it.